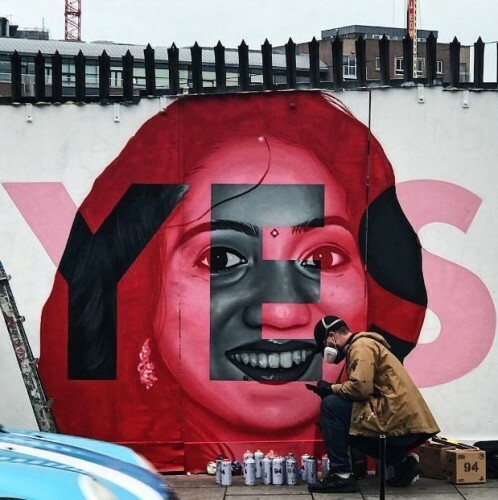 Just to let everyone know, we will be moving Aches mural of Savita to somewhere a little more safe, permanent, but still in view of the public tomorrow morning. We’ve been in touch with Together for Yes about preserving all the notes you have left. Thank you to everyone who left flowers, wrote notes, lit candles, and left messages. You have left a beautiful tribute.